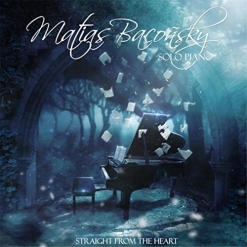 Straight From the Heart is the second solo piano album from Argentinian pianist/composer Matias Baconsky. His 2016 debut, Life and Death, was released when Matias was only 21-years-old and was inspired by various life experiences and emotions. Straight From the Heart is definitely on the dark, intense side, expressing deep loss and pain. The only thing I don’t like about this album is the piano itself, which has a very muddy bass - as many digital pianos do. A good acoustic piano would serve this music so much better with more dynamic range and expressive capability. 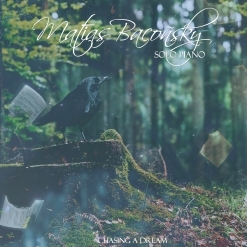 The album begins with “Chasing a Dream,” which was released as a single earlier this year and expresses a variety of musical ideas with a mostly bittersweet feeling. 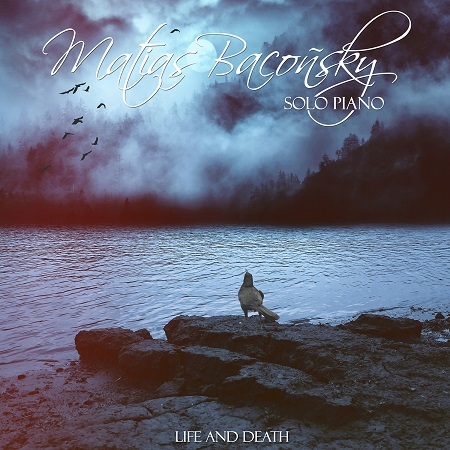 As the title suggests, “Depths of Despair” is very dark and turbulent with much of it played in the deep bass of the piano. “Song For Sorrow” is poignant and sad, but isn’t nearly as dark as the previous track. “Our Illusion” seems to express regret with its beautiful melody and gently arpeggiated left hand - a favorite. “I Will See You Again” lifts the mood a bit with a message of hope. While not really optimistic, the tone is lighter than the previous pieces. “Last Time Together” goes back into the deep bass, accentuating the mournful tone of the melody. “Last Hope” is another favorite with its energetic rhythms and somber, heartfelt melody. “Nostalgia” has an infectious rhythm in some passages and feelings of longing in others. “Time Is Running Out” is possibly the darkest and most despondent of the twelve pieces - a heartbreaker for sure! 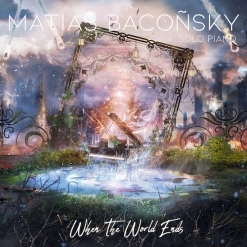 It’s difficult to imagine the pain Baconsky must have been experiencing when he composed this piece. I hope life has gotten much better in the meantime! Straight From the Heart can provide an emotional catharsis, but it is not cheerful or soothing. I like dark music, but this album really explores the depths of despair and loss. It is available from Amazon, iTunes and CD Baby.